Chandrababu Naidu found fault with the Deputy Election Commissioner's clarification that there was no problem with the EVMs in Andhra Pradesh. 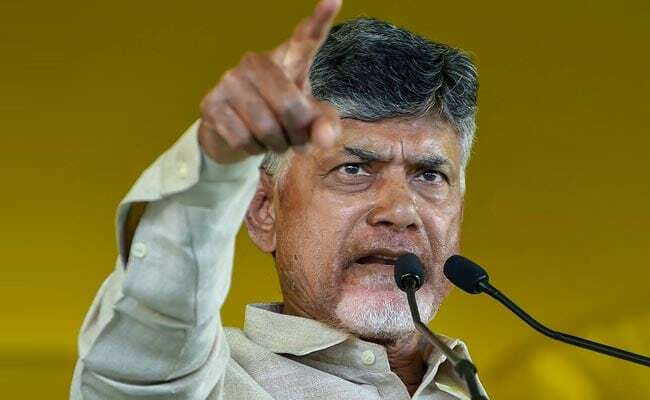 Andhra Pradesh chief minister and Telugu Desam Party president N Chandrababu Naidu has accused the Election Commission of making the poll process a "big farce". Addressing a press conference a day after polling for 175 Assembly and 25 Lok Sabha seats was completed, the Chief Minister spit fire on the Election Commission over the manner in which the election process was conducted, alleging that 30-40 per cent Electronic Voting Machines or EVMs in the state either malfunctioned or did not function. "This is a very big farce. Disaster for the nation. I can say it is a big confusion, big mess, big farce," Mr Naidu said in a restless tone. He claimed that as per "official information" 4,583 EVMs got stuck in the state and noted that it was a "major crisis." He found fault with the Deputy Election Commissioner's clarification that there was no problem with the EVMs in Andhra Pradesh. "I have never seen such an insensitive, unrealistic, irresponsible and useless Election Commission. Do you make a mockery of democracy? EC turned into BJP branch office," the TDP chief said. "As senior leader I have to warn them (EC). Country should know. They should not commit any more these type of mistakes," Mr Naidu added. "How do you post the CS without consulting us? Do we have to get work done through him? You will run governments? Will you look after my security," Mr Naidu asked, finding fault with the Election Commissioner over the transfer of Intelligence DG and three other IPS officers. The TDP president also alleged that the general elections in Andhra Pradesh were scheduled in the first phase in one go only to "leave me no time." "Last time (2014) elections were held in the last phase, this time in the first phase. What is the rationality? Did you speak to political parties or have you taken lottery or did jumbling? What it indicates?" he asked. Mr Naidu, however, wound up his press conference announcing that he would take oath (as Chief Minister again) on a "good day" after May 23.